Prince Mohammed bin Salman revealed plans for Saudi Arabia’s new mega-city NEOM this week in an interview with Bloomberg News. 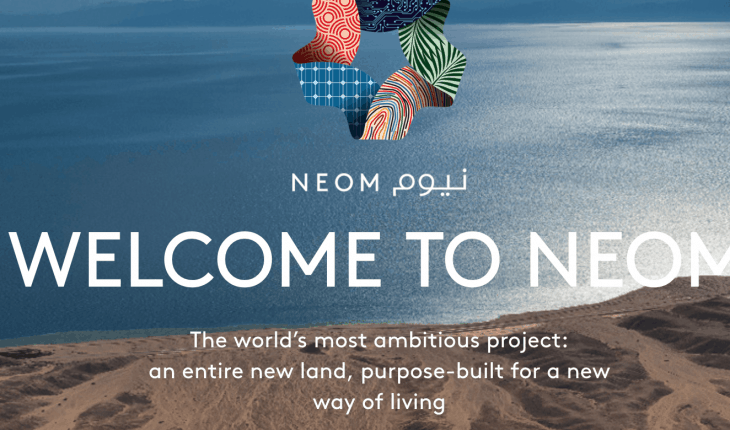 Neom is scheduled for completion by 2025, with some initial capacity for business by 2020 revealed the Crown Prince. Neom is being billed as the world’s first futuristic city, and is set to include artificial intelligence at its core with a fully connected digital infrastructure provided by the world’s leading tech companies. The Prince also outlined some potential partners including Amazon.com Inc., Alibaba Group Holding Ltd and Airbus SE. Below is a full transcript of the Bloomberg interview with Prince Mohammed bin Salman. Bloomberg: There are a lot of questions about the name, that it was called Pulse at first. MBS: [Arabic] Pulse was a name just for the documents. In order to go through the procedures, we needed to put something temporary. So we chose Pulse randomly. Then, recently, we were working on the final name. There were many ideas, and there was some disagreement. We didn’t want an Arabic name and we didn’t want a Latin name, or a name from any other language, because the project represents a civilizational leap for humanity. So the name shouldn’t be from a specific civilization. There were good names based on Latin and there were names based on Arabic, so it was difficult to decide. There was a workshop and we decided to dissect the first letters of the proposed names, then the first letters of the main sectors and try to put them into a good sentence. We came up with “Neo-Mustaqbal.” Neo-Future. So “neo” is Latin for “new,” and “mustaqbal” is “future” in Arabic. [English] But the letters also represent all the sectors and the names. Neo is Neo. But for example E is entertainment, M is mobility, L is livability. But neo-mustaqbal is also a long name so we shortened it to Neom. [Arabic] There were examples, like Sony, which have no meaning. But we didn’t want to come up with something that had no meaning. In short, Neom, gives you the sense that this is a name of the future. You feel like Neom is a name from outer space. Bloomberg: Can you walk us through the timeline of the project in terms of when you expect completion of the first phase or when you can break ground? 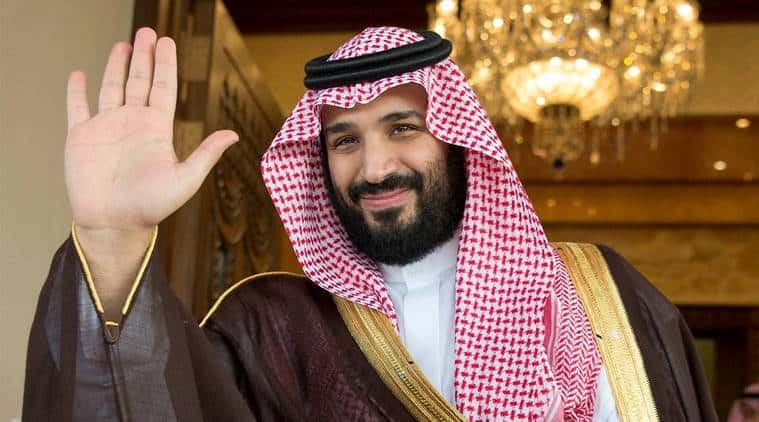 MBS: [Arabic] We began planning – I proposed the idea in 2015 in the first meeting with my new team, that we need a commercial and economic capital. I had in my mind that we have a distinctive location in Northwest Saudi Arabia, for the reasons that I mentioned. Then we entered discussions until early 2016, when we formulated a founding council under my chairmanship, and we created a founding office, a DMO office – a development management operation. This office was intended to transform into the management itself. We worked in the period of 2016 to build this office and build strategies, the visions, the goals, and we started to develop ideas. What are the losses and leakages that we have in the economy and how do we get them back? How do we compete? Eventually we ended up with nine sectors, some conventional and some new. But even the conventional sectors, we want to present in a way that has something revolutionary and new. Like for entertainment, there will be ideas that are completely outside the box. Today we are talking with a lot of our partners with the experience to apply this on the ground. It’s truly outside the box and will transform the entertainment sector. Same thing for livability. There are unbelievable chances in transportation, health, supply. For example there won’t be one supermarket. Zero. Nobody will go and buy things for their home. Everything will come to your house using technology. Shopping will be entertainment, it won’t be shopping for shopping. The livability will have a lot of things, in health, in supply, in education, in transport, in green areas, in design — many things. We want the main robot and the first robot in Neom to be Neom itself. Robot number one. Everything will have a link to artificial intelligence, to the Internet of Things — everything. Your medical file will be connected with your home supply, with your car, linked to your family, linked to your other files, and the system develops itself in how to provide you with better things. Today all the clouds available are separate — the car is by itself, the Apple watch is by itself, everything is by itself. There, everything will be connected. So nobody can live in Neom without the Neom application we’ll have — or visit Neom. So the first robot in Neom is Neom itself. So there are so many things in livability. Anybody can sit and imagine. 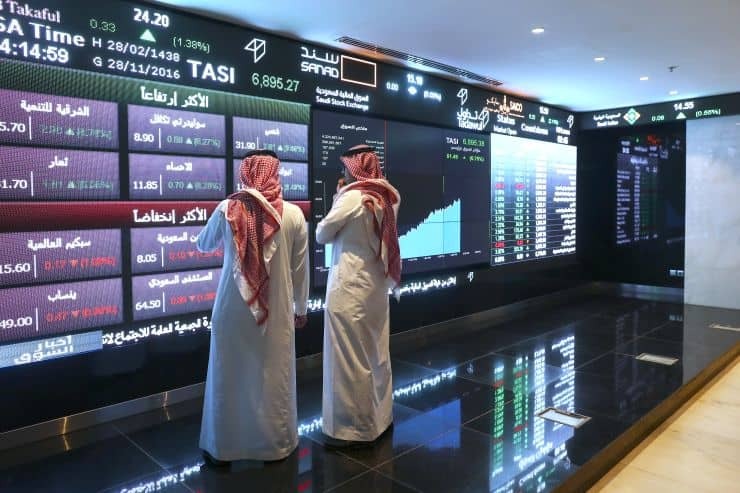 And there are many enormous companies, enormous, considered among the most important companies in the world, that want to do their new projects in Neom to take advantage of this opportunity. Those that were on stage yesterday were a very small example. We’ll hear a lot of things in 2018, maybe 2017. The entertainment won’t be ordinary entertainment, the livability won’t be the ordinary livability. Mobility, for example, what are we trying to achieve is for the container in the factory to get to the port and the ship without any human engagement. And how do you design industrial cities with containers reaching vessels, how do you reach warehouses, create your supply. And how to reduce costs. It’s the same thing in transportation, at the airport. There are amazing ideas to change the way of mobility. And there’s enough traffic and good cash. So every sector, we’re trying to make leaps, and we selected these very carefully to be sure that we truly can get a strong share in them and make a difference. We wouldn’t have announced them if we didn’t have the cash, the demand and the partners — and there will be many surprises. Bloomberg: The companies that you speak of, can you give us a sense? I can think, we all know who some of the world’s most innovative companies are. Who will we see represented in Neom? MBS: You mean as a team? Bloomberg: Well, which companies are we talking about? If I were to think off the top of my head, who can do delivery to the home, who can create almost infinite mobility, who can create an app-based society? MBS: [English] We are talking with everyone. We are talking with Amazon, they are engaged, but we didn’t reach a final agreement. We are talking with Alibaba, and they are engaged, and both of those two companies are having great ideas to make Neom different. They can only do it in Neom because they want to put their fingerprint on the project. And in mobility, we have heavy engagement from Airbus and other companies. So we have a “who’s who” from around the world engaging in this and interested to get things done. We have a super great team. Now we have the CEO for governance, Klaus, and we have a very good team under him. Some of them, we hired them six months, one year ago, and they’re world class. So now the board, we have good and professional people on it. I’m leading the board. And also we have the advisory board. We have more than 100 people now on our advisory board. Also big names, very big names, a lot of them here today. We are trying to get our advisory board to 300 people, with super-high quality in those nine sectors. Bloomberg: Just to return to the timeline, the groundbreaking will be in 2019 or? When will the groundbreaking and the first phase and the second phase be? 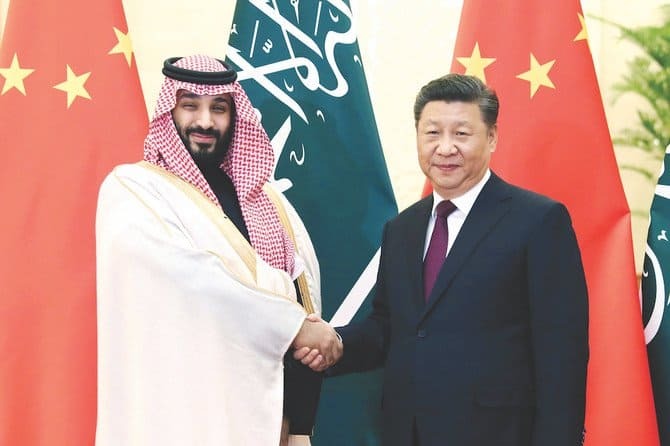 MBS: [English] I think people will go there in 2020. They will find hotels, they will find places. 2020, 2021. But I think the city, the main project, it will be opened in 2025. So for example, we’re working on a fast track on something we call Neom Bay. It’s not the city, it’s the bay next to the city, just to have the offices and the places to start working in the site. But when the city is completed, Neom Bay will be like the Hamptons in New York later on. So I think Neom Bay will be ready in 2021, we hope before that. Actually, the airport, it exists already. [Arabic] An airport only for work. Bloomberg: The airport in Tabuk? MBS: [English] In Tabuk. Actually it was completed this month, a new airport, but just for Neom employees. And I think we will start developing it to have people next year, 2019. But it’s not the main Neom airport, the big Neom airport we will have after 2020. Bloomberg: You mentioned the government’s intentions have been to create jobs for Saudi citizens which is a major goal for the government. How do you see your citizens fitting into a city like Neom if it’s robotic and where do you see them being employed and how many of them will be employed? 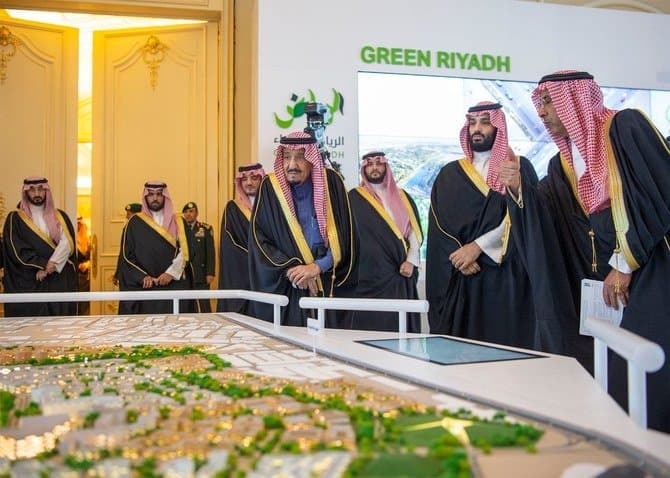 And if you look at Saudi Arabia, there have been other examples not as ambitious as this one, but you had King Abdullah Financial District, King Abdullah Economic City, Jazan Economic City, and all have them have been announced with great fanfare but have struggled. Why do you think this will be successful and different? MBS: [English] We have to keep separate the duties of government entities. So PIF, its role is to generate money. So when PIF started to work and to establish Neom, it looked at it from the development and the income side. So, of course, Neom will generate a lot of money to PIF, and it will help to increase our GDP big-time. We are talking by 2030, $100 billion GDP. I believe we will do more than that, a lot. But my team, they want me to announce something conservative. So this is big. Of course, it will create a lot of jobs. Of course, Saudis will find a lot of jobs there. But it’s not Neom’s duty to create jobs for Saudis. Neom’s duty is to be a world hub for everyone in the whole world. So it will create jobs for Saudis and it will create jobs for a lot of people around the world. 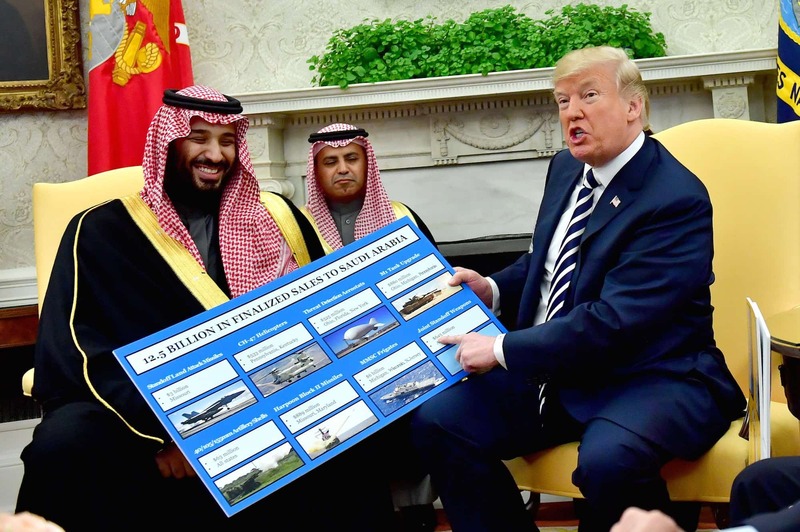 But it will generate money to PIF, and the money will go from PIF to the Saudi government, and it will help the Saudi government big-time to start a lot of projects and create different kinds of jobs. [Arabic] The King Abdullah Financial District in Riyadh, the pension fund was working on it for a certain period of time. 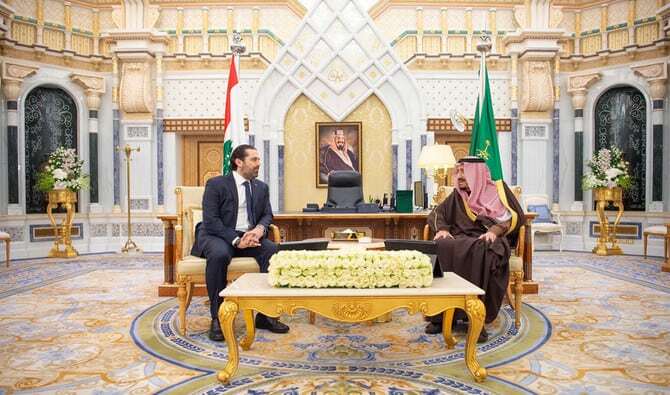 The problem was that the office space was much higher than the needs of Riyadh. What are we doing in Vision 2030? We came in and restructured the entire financial district. And we reduced the number of offices and increased the number of residential units. So the project didn’t fail. It will be the main driver for the city of Riyadh. And the G-20 2020 will be held in the financial district. And in 2018 we will open the first phase. So it’s not a worry for us. King Abdullah Economic City, the government didn’t invest in it. It’s investment from the Saudi private sector and several other companies outside Saudi Arabia. So we don’t bear the responsibility for any failure in it because there’s no commitment from the government behind this project. Nonetheless, the project didn’t fail. The port is working. The industrial city has rented out many units. The hotels have opened. And the people of Jeddah call it “New Jeddah.” And most of them have started to move to King Abdullah Economic City. So it’s not a ghost town, it’s a city that’s growing and that has tens of thousands of jobs now. Today we in the government are talking with King Abdullah Economic City Company on how we can help them to grow in a better way. They have 45 programs that we’re working on with them, without the government paying a single thing. These 45 goals will help create a new pace in King Abdullah Economic City. The Jazan Economic City has enormous Aramco projects today, and enormous projects for the Chinese. 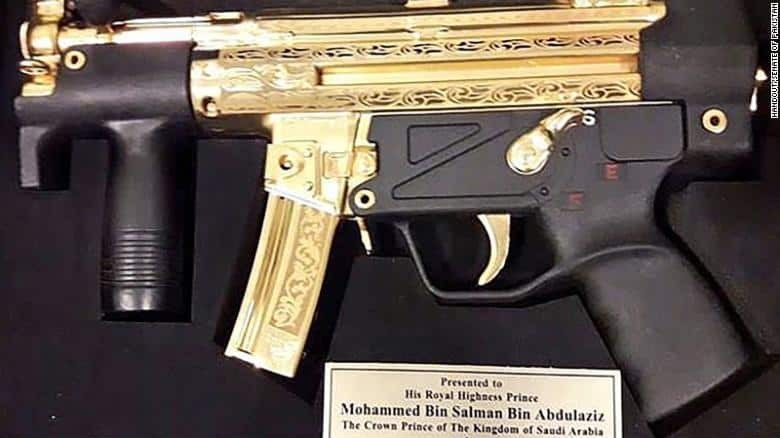 In the last visit with the Chinese, King Salman signed some agreements to this effect. I guarantee you that if you go there in three years, you may find more Chinese than Saudis. These projects didn’t fail. Neom is a totally different story. There’s a commitment from the government, we’re putting our name on the first line. The Public Investment Fund has put hundreds of billions into this project. Other investors have put the same amounts. There’s huge demand and high leakage that we’re trying to get back. A distinctive location. The climate. Access to the regions of the world. Even the historical sites in it. If we dream of a place like this, you won’t be able to. MBS: [English] I think we are creating new demand and this will help Dubai and it will help other hubs in the Middle East. I don’t think Hong Kong harmed Singapore or Singapore harmed Hong Kong. They are creating good demand around each other. This zone, it’s creating new demand, not the same demand of Dubai. It will help Dubai, it will help Bahrain. It will help especially Kuwait. 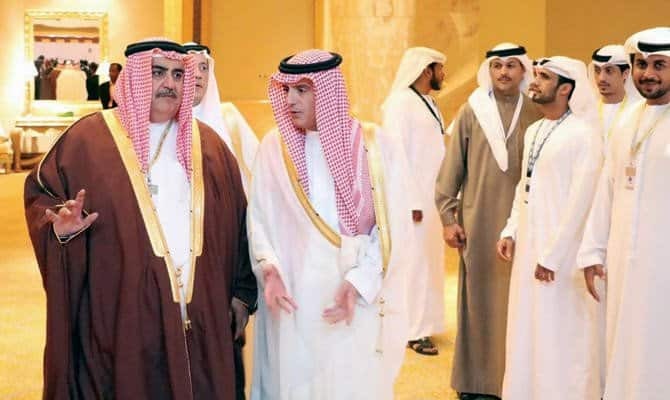 Kuwait will export to Europe faster and cheaper than now through the pipelines and the railways to Neom, immediately to Egypt, to the north of Sinai, to Europe. 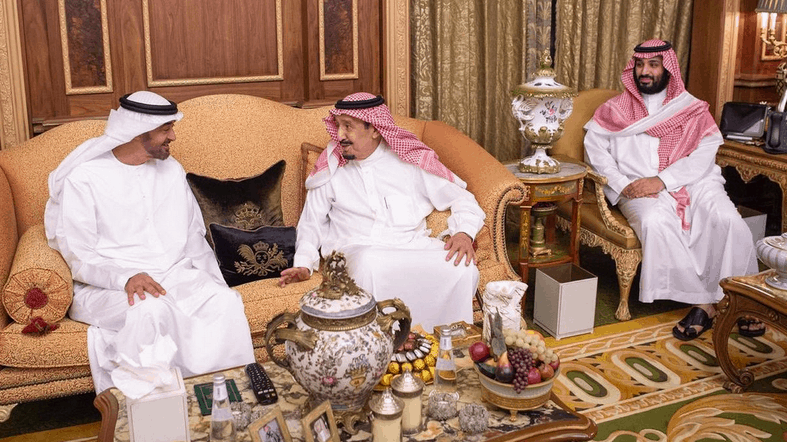 If you remember one and a half years ago, King Salman signed with the president of Egypt the agreement on the free zone in northern Sinai. The purpose of signing this free zone in northern Sinai is to link it with Neom. So Neom will have a lot of ports. Some of them in Saudi Arabia and some of them in Egypt. So Dubai will benefit, Bahrain will benefit, Kuwait will benefit, Egypt, Jordan and I think the Red Sea countries and a lot of places in the world will benefit some way or the other. Bloomberg: Will this city operate under a different set or norms and rules? 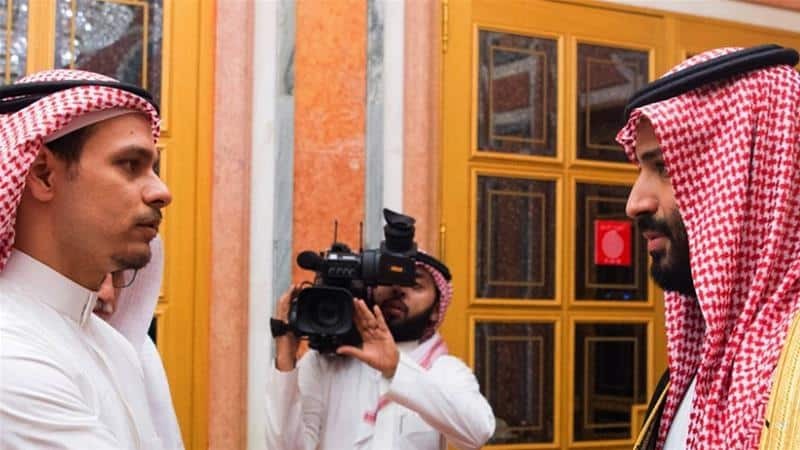 MBS: [Arabic] The sovereign laws will be within framework of the Saudi law, like defense, national security, counter terrorism and similar threats. Foreign policy. These things will be retained at the Saudi government levels. But commercial rules and others will be under Neom itself. They will be given the right to regulate all of these details in a way that serves the purposes of objectives of Neom. And this is the great thing. When you look at any city around the world, for example New York, you will find the laws serving everyone, the people, the companies, so they try to put something in place that benefits everyone. But Neom you have no one there, so the regulations will be based on the needs of companies and the investors. So the people will come there only for three reasons: if you are an investor, if you are employed in one of the projects, if you are a tourist. If you’re not one of those three, you will not be in Neom. So the rules and regulation will be designed to make this grow very fast. So imagine if you are the governor of New York without having any popular (public) demands, how much you would be able to create for the companies and private sector. Bloomberg: Does that mean Saudis will be able to access it freely? 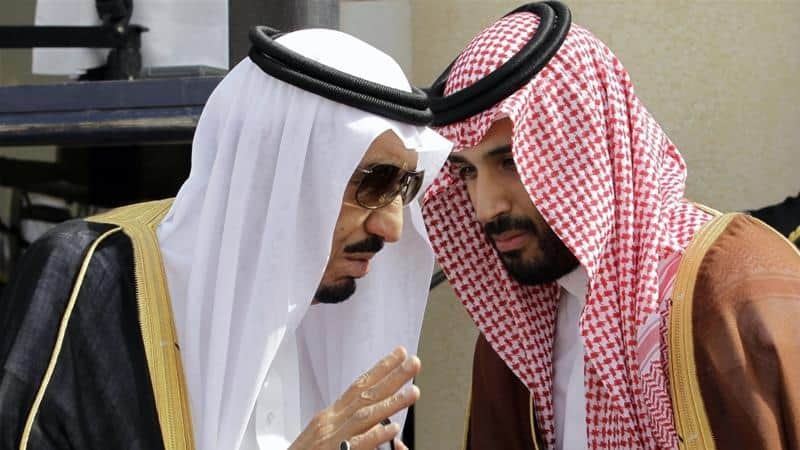 MBS: [English] They will not go to Neom and sleep on the street. If they go to Neom, they have to have a room in a hotel or they have a house or an apartment in Neom. Bloomberg: Can they own an apartment without working there? MBS: Of course. We call this an investor. Bloomberg: If I am Saudi or a foreigner and want to live in Neom? Bloomberg: But I have to buy there? MBS: You have to buy. That means you’re spending energy, you’re spending money in retail, you’re spending money in entertainment. You are an investor and a tourist at the same time. Bloomberg: Can I rent, can I go and live there? MBS: Of course. So it will be different rules. We can do 98 percent of the standards applied in similar cities. But there is 2 percent we can’t do, like for example alcohol. A foreigner who desires alcohol can either go to Egypt or Jordan. So Egypt, from Tiran it’s 3.5 kilometers and from Ras Sheikh Hmeid, I think it’s 15 kilometers. If you are on the closest side it’s two minutes by car. If you are on the far side of the city it’s like 20 minutes by car. So I think it will give the foreign investor and the foreign visitor their needs without harming regulations. Bloomberg: Can you tell us the latest on the timing and listing venue of the IPO? MBS: We have said it more than once yesterday, we are on the right track. It will be IPO’d in 2018, I think the second half. We don’t have any problems. We have a lot of work and a lot of decisions and there are a lot of things that will be announced. Bloomberg: Would you like to extend the OPEC and non-OPEC agreement with Russia? MBS: Everyone is benefiting, from OPEC countries and non-OPEC countries. It’s the first time we have an OPEC and non-OPEC deal in stabilizing the oil market. 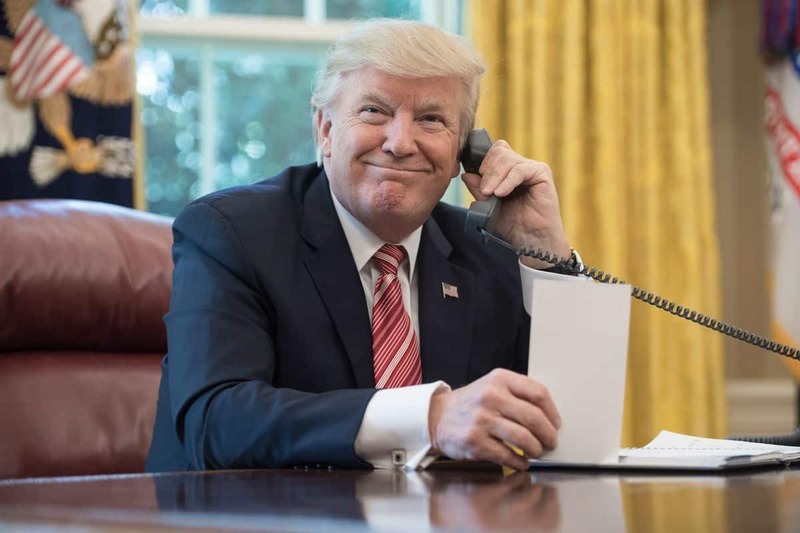 Every day, everyone is starting to believe it more. They have seen the results. So everyone has the interest to continue keeping the agreement. Bloomberg: How close are you to extending it? MBS: Extending, I cannot talk about it. We can’t talk alone. Bloomberg: But you want to extend it beyond March 2018? MBS: Of course. We need to continue stabilizing the market. I think the market has already swallowed the new shale oil supply. It’s swallowed. Now it’s part of supply. Now we are going into a new era.